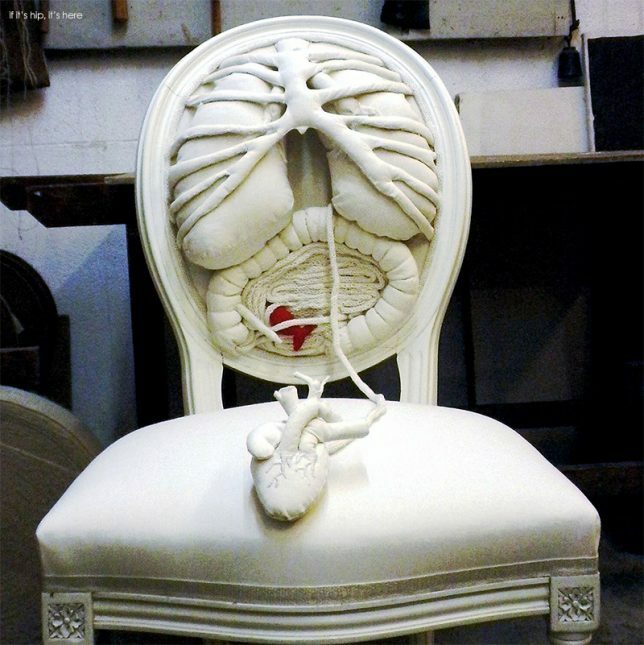 Would it make you feel weird to recline on the soft shapes of ribs, lungs, intestines and a human heart? 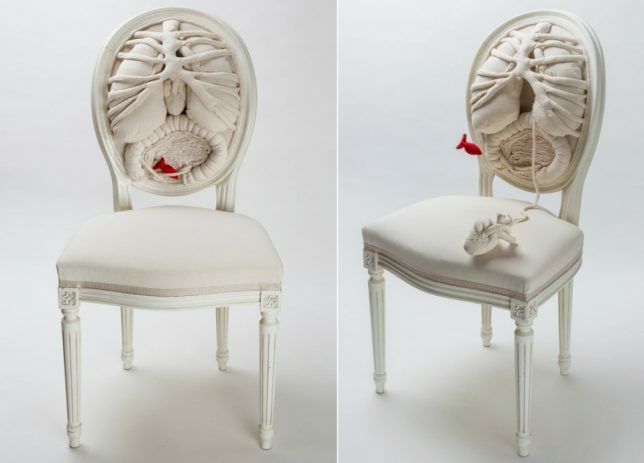 Textile artist Pauline Kriel collaborated with costume designer Anouk Cazin to transform a traditional French dining chair into ‘The Anatomy Chair,’ which even has a detail of blood vessels on the back. 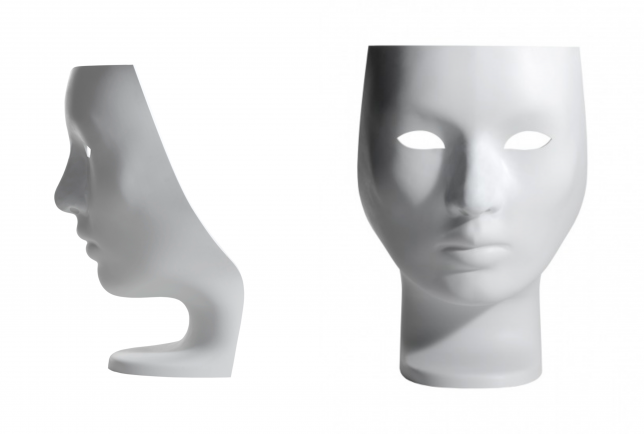 Quite the statement piece, Fabio Novembre’s Nemo Chair stands as tall as an average person with its dramatic mask-like form. 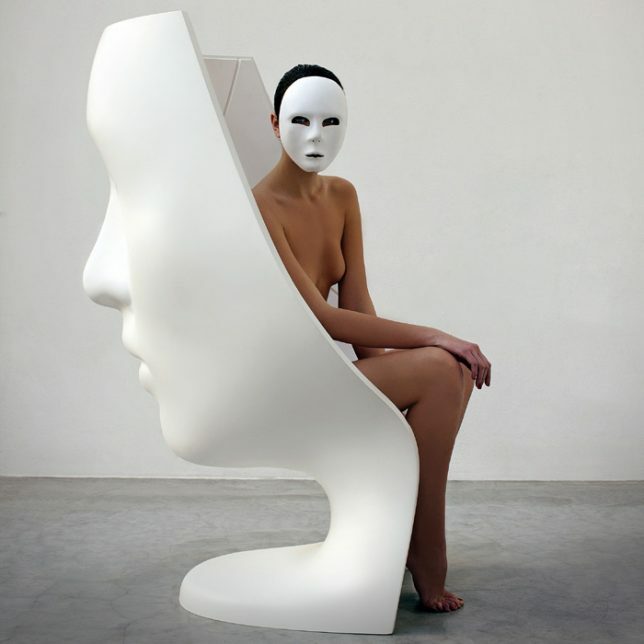 Perhaps most effective in white, the chair is actually available in a wide range of shades including orange and metallic copper. 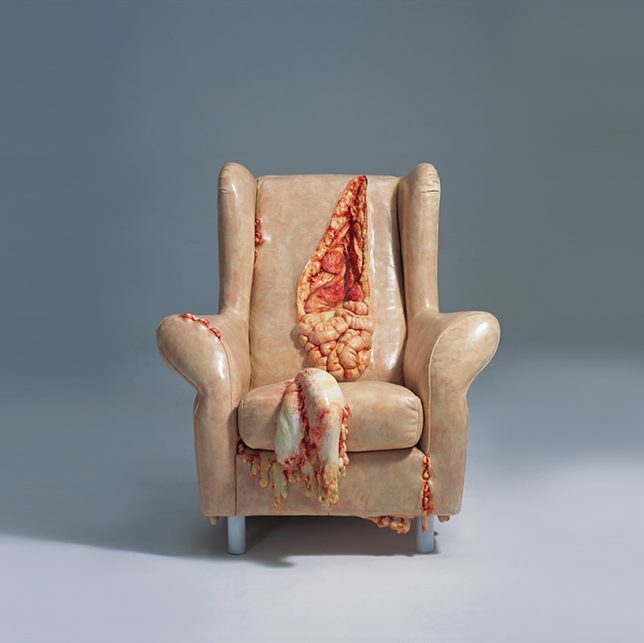 Guts and disturbingly human-like fat spill out of the fleshy furniture creations of Cao Hui. 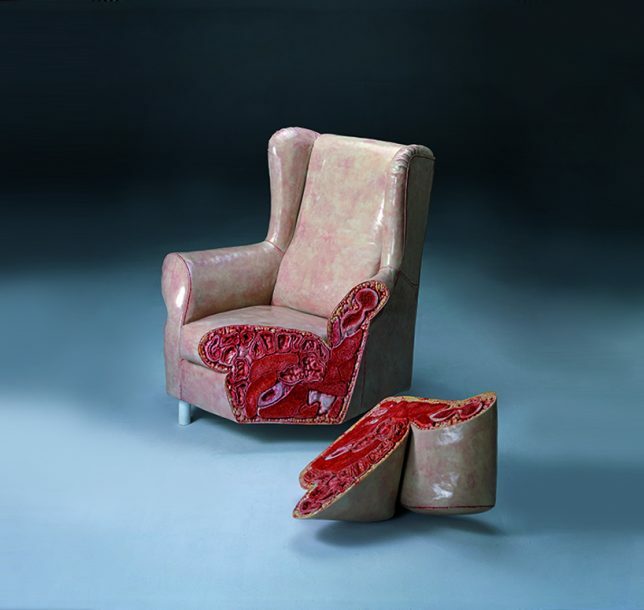 The ‘Visual Temperature’ series includes two upholstered armchairs in addition to a suitcase, jacket and gloves, hyper realistically rendered as the same gore you’d see if you sliced into an average human body. 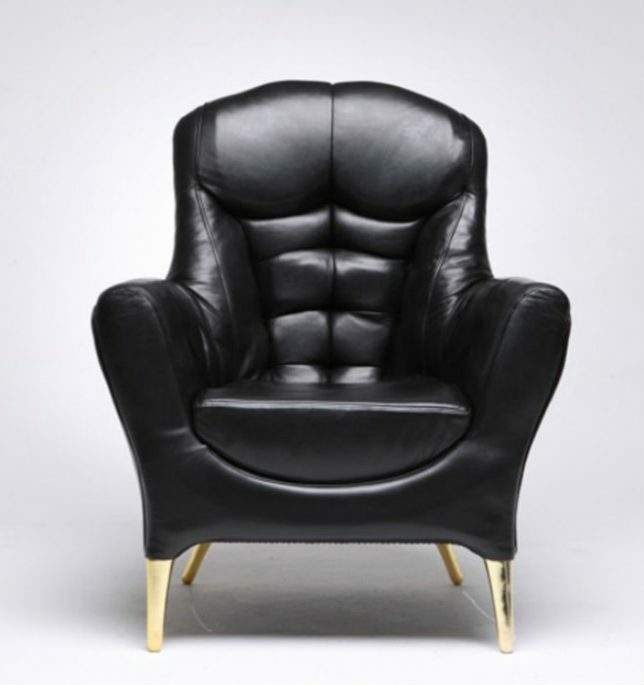 Dutch design firm Atelier van Lieshout sewed leather into body-like forms and then stuffed it to provide back support for this highly unusual one-of-a-kind sofa.